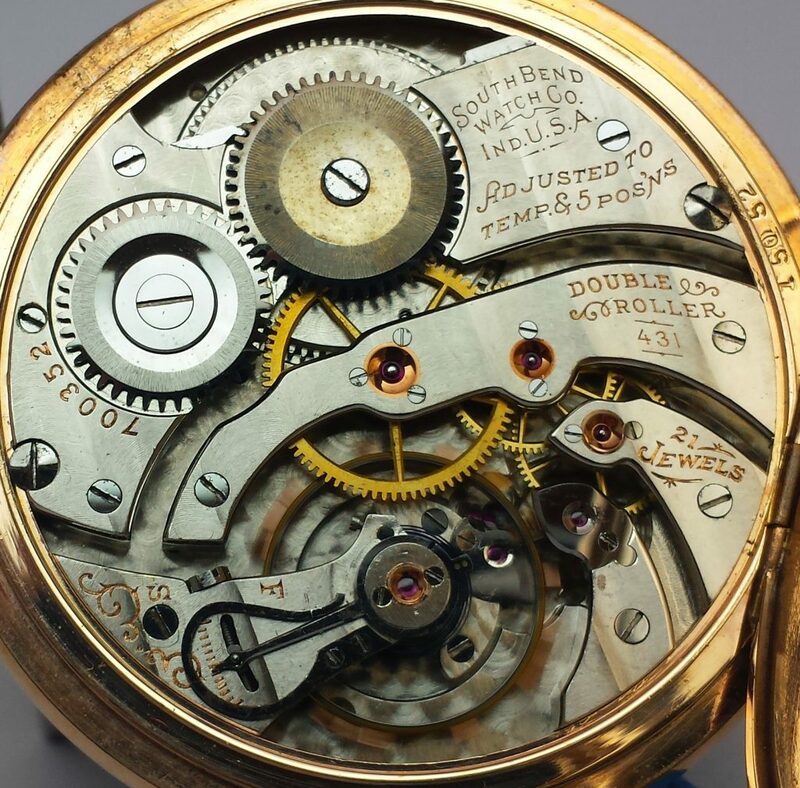 Bridge model; Nickel plates; pedant set; synthetic ruby and sapphire jewels; cupped and beveled Extra highly polished visible winding wheels; one piece recoil spring click; micrometer nut and screw regulator; gold jewel settings; gold balance screws; double roller escapement; cone pivoted and cap jeweled with highly polished steel settings; steel escape wheel; exposed ruby pallets. Adjusted to temperature, isochronism and five positions. Tested on half time without hair spring; very accurately rated; richly finished throughout; all concealed parts highly finished. Carefully timed and tested after being cased; the thinnest accurate timepiece. Shipped in elegant display box. Open Face. Chesterfield. First run – 1910, last run – 1920. Total production 3010.